Sorry for the delay in posting the new episode. I'm going to try to make this a monthly Headcast for the time being. 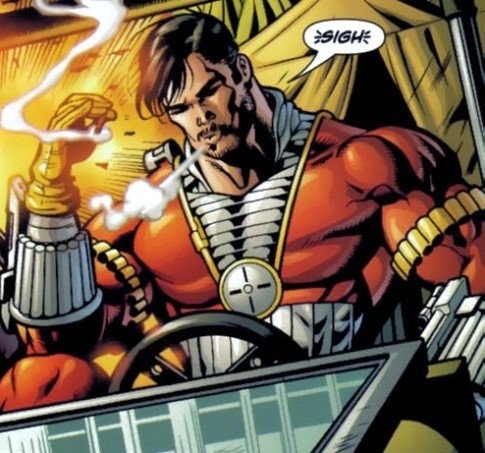 First I do a Character Profile on Deadshot aka Floyd Lawton. 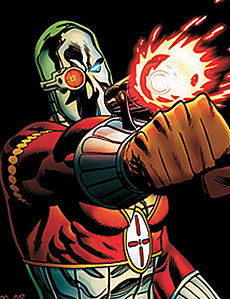 Deadshot was created by Bob Kane, David Vern Reed, and Lew Schwartz back in 1950. 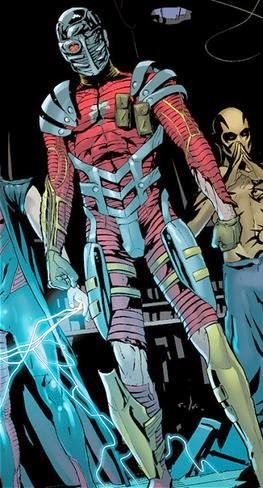 He first appeared in Batman issue 59. Check out the Headcast for further information on ole Floyd. The plot of Legends is similar to the biblical story of Job. The evil god Darkseid makes a wager with the mysterious Phantom Stranger that he can turn humanity against its heroes. To win the bet, Darkseid sends his minion Glorious Godfrey to Earth, where Godfrey uses the sound of his voice to control people's minds and turn them against Earth's heroes. To further his scheme, Darkseid sends a fire elemental called Brimstone to Earth to defeat the Detroit-based Justice League along with Firestorm and a time-traveling Cosmic Boy. Darkseid also arranges for the cyborg villain Macro-Man to be killed by the mystic lightning that Captain Marvel uses to change into Billy Batson, and Captain Marvel is blamed by the media for Macro-Man's death. Batman suffers his own loss when Robin (Jason Todd) is trampled by a crazed mob. Fearing widespread panic, President Ronald Reagan (the U.S. Commander-in-Chief at the time of publication) declares martial law and bans all superheroic activities in America. This angers several members of Reagan's department of defense, who - at the behest of Amanda Waller (aka The Wall) - activate "Project: Task Force X", AKA the Suicide Squad. Recruiting a team of expendable imprisoned supervillains, Amanda Waller has the Suicide Squad destroy Brimstone. If you have any comments, questions, or concerns, please e-mail me at TaskForceX@HeadSpeaks.com. Please tell a friend, and check back next month for the exciting conclusion to the epic LEGENDS mini-series.